Is that an EDM show in your pocket or did I just lick a stamp I shouldn't have? 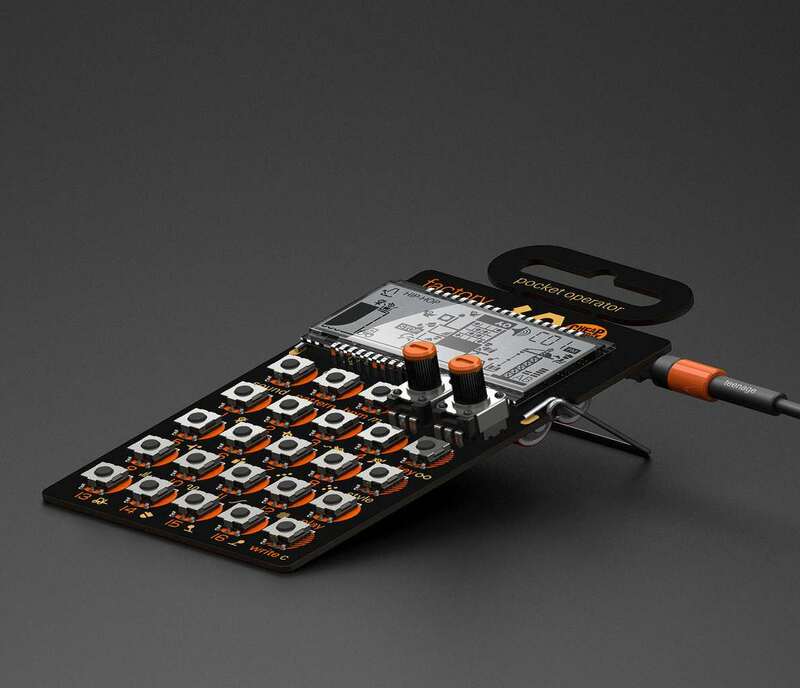 Budding DJs, club kids, and general jams lovers alike, you can create big sounds using no more than your thumbs and one of Teenage Engineering's Pocket Operator Synthesizers. The palm-sized circuit boards come in PO-12 Rhythm Drum, PO-14 Sub Bass, and PO-16 Factory models, each mugging animated graphics on an LCD display, real synthesizer engines, sync, punch-in effects, a built-in speaker, an alarm clock, and, according to the people profiting from their sale, an "impossibly low price." Teenage Engineering's t PO-12 Rhythm Drum synthesizer and sequencer includes real synthesized drum sounds, sampled drum sounds, and 16 punch-in effects, such as delay, bit crusher and filters, parameter locks, and individual step re-trig. 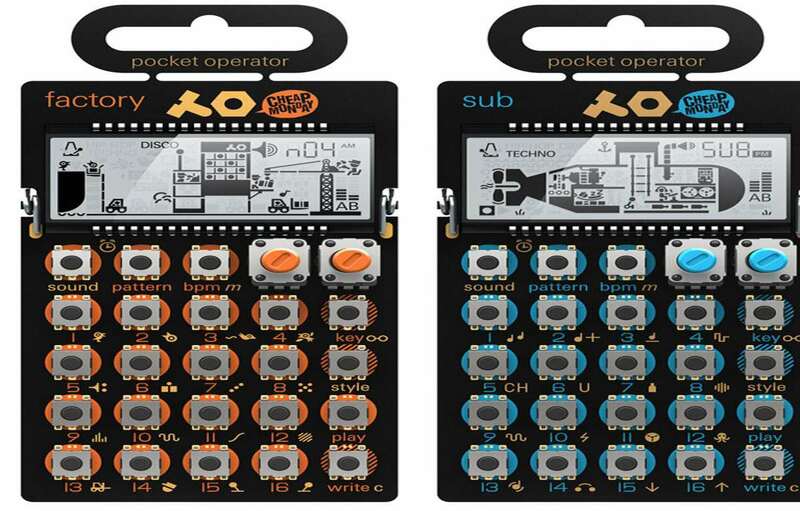 PO-14 Sub Bass focuses on bass line synthesizing and sequencing with parameter locks, punch-in effects, and play styles. 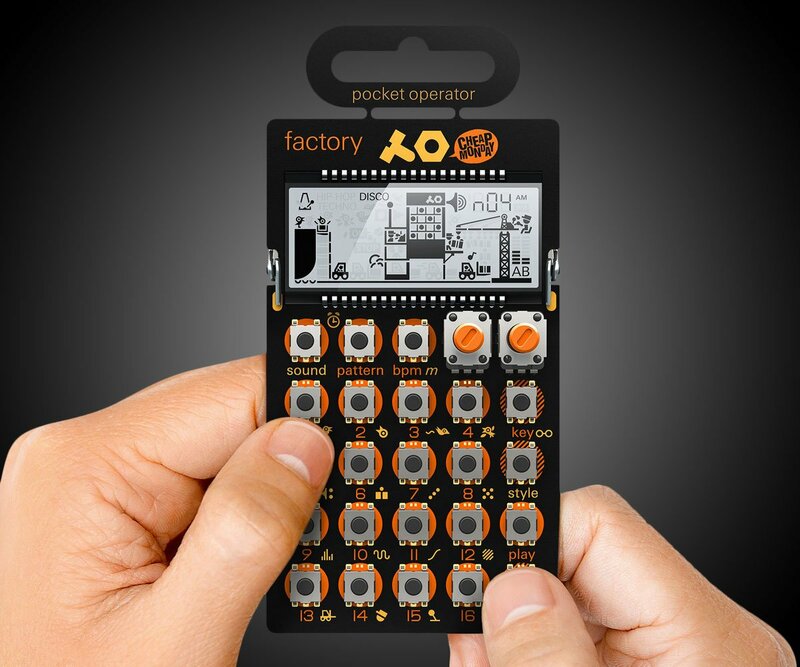 PO-16 Factory handles the melodies. It also comes with parameter locks and punch-in effects, as well as arpeggio and chord play styles. Both PO-14 and PO-16 have multiple real synthesizer engines, including FM, subtractive synthesis, wave table and physical modeled string.